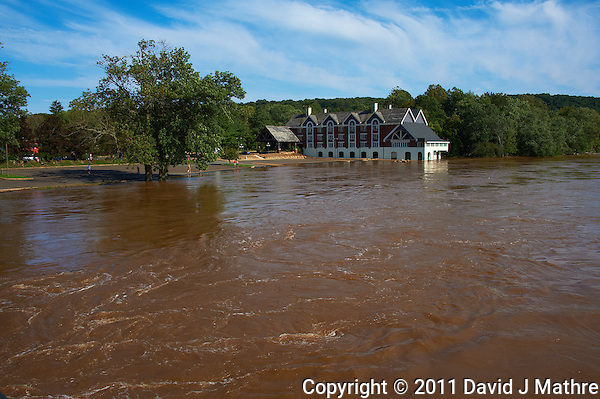 Lambertville Station Inn with the Delaware River at Near Flood Stage, Post Hurricane Irene. 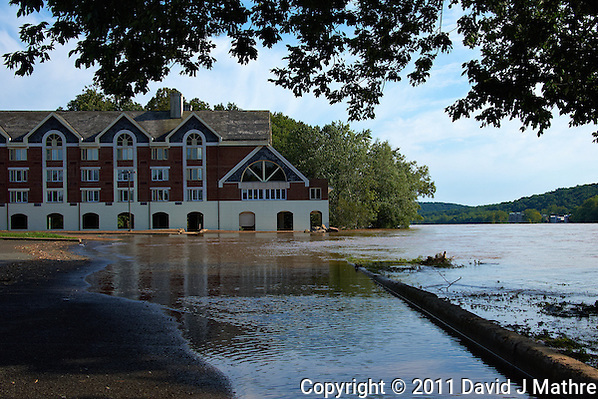 I took these images of the Lambertville Station Inn with the waters from the Delaware River up to the level of the parking lot. 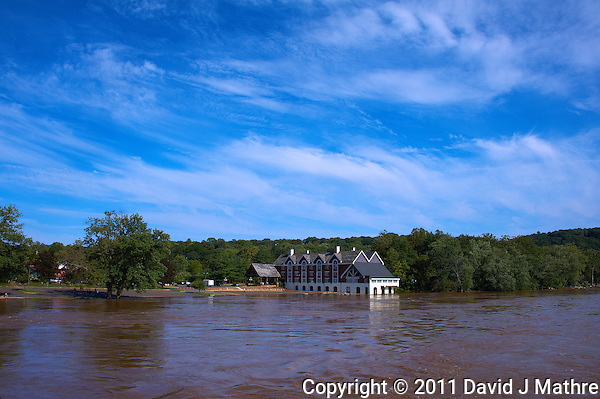 The Lambertville Station Inn is right next to the Lambertville — New Hope bridge, which I cross on my way to work in Pennsylvania. 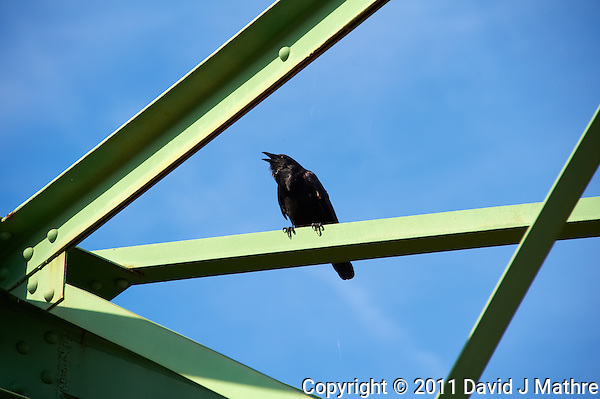 This bridge remained open. 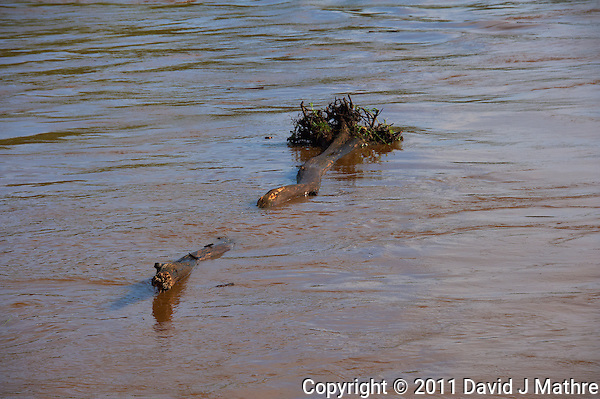 These images were taken just after the river peaked at about 12 feet above normal. 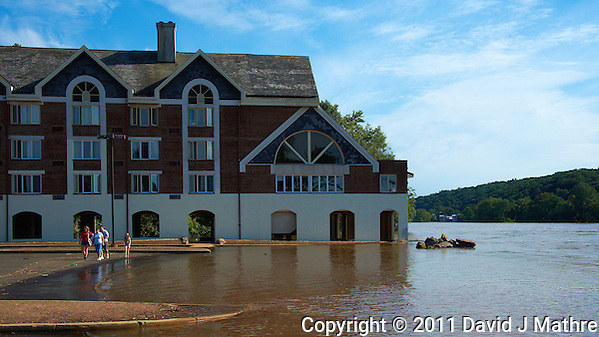 The official NWS flood stage is 13 feet. The USGS has a website where you can see a graph of the river level at this location. The first one totally looks like a postcard from 1907. 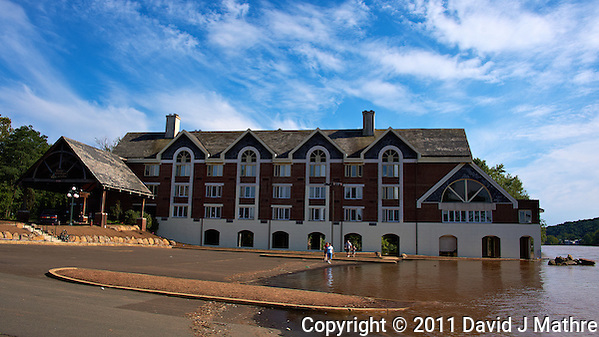 Except for the car on the far left which I almost “content aware” edited out with Photoshop. 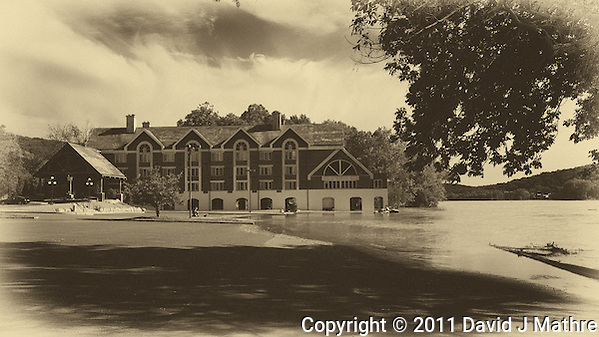 I don’t know if there was a flood in 1907, but the Rail Road Station and Inn probably did exist then. btw — the sky is perfectly clear tonight after the hurricane, and will probably be out trying to do some more startrails.